City governments constantly struggle to address complex challenges with limited budgets — and as cities grow, mayors are feeling increasing pressure to find new ways to meet public needs. Many are finding answers in public-private collaboration. These partnerships can help cities increase funding, rethink the delivery of services, enhance public amenities, and pilot new programs. While every city has different needs and resources, there are some key steps every mayor can take to effectively cultivate private support and deliver results. 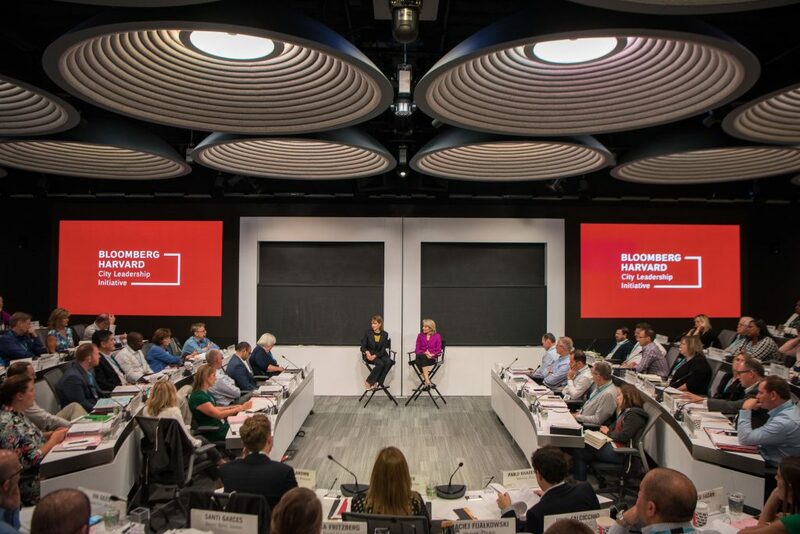 Bloomberg Philanthropies CEO and former First Deputy Mayor of New York City Patti Harris speaks in conversation with Amy Edmondson at the Bloomberg Harvard City Leadership Initiative. Having dedicated staff oversee public-private collaboration helps to ensure compliance with rules, alignment with city priorities, and effective coordination of partners and projects. That’s why more cities are making the investment. Some — including Denver, New York, and Boston –even created an Office of Strategic Partnerships to work with different sectors and identify opportunities for collaboration. Mayors should be clear about their goals: What problem do they hope to address and how can partners outside government play a role? Chattanooga, Tennessee is providing a blueprint for how to answer these questions. Soon after taking office, Mayor Andy Berke created task forces, including one on technology, made up of community members to help define challenges and develop clear action steps. The Mayor recognized that the city’s digital infrastructure — including the world’s fastest, cheapest and most pervasive internet — was an asset that was underutilized and not equally accessible to all. Guided by task force recommendations, he established an “innovation district” and restructured a city-affiliated nonprofit called the Enterprise Center to encourage collaboration among entrepreneurs, startups, and students, and cultivate cross-sector investment. City officials should not look to the private sector as underwriters to fill budget gaps, but as allies in building strong communities. When private partners have a voice, they’re more likely to want to collaborate, and those collaborations will have a greater impact. For instance, in Providence, RI, Mayor Jorge Elorza’s team is working closely with the Providence Foundation, where over 70 business owners channel philanthropic investments, and is regularly convening the leaders of local colleges and medical centers. The goal is for the city and private sector to share resources, discuss urban challenges, and create collaborative projects together. The mayor’s Chief of Staff Nicole Pollack remarked that, “Mayor Elorza came to a realization that we needed to reengage civic leaders, higher ed institutions and hospitals beyond the historically transactional relationship they had with the Mayor’s Office.” The Providence Mayor’s Office soon plans to select 3 or 4 projects they can all work together on. 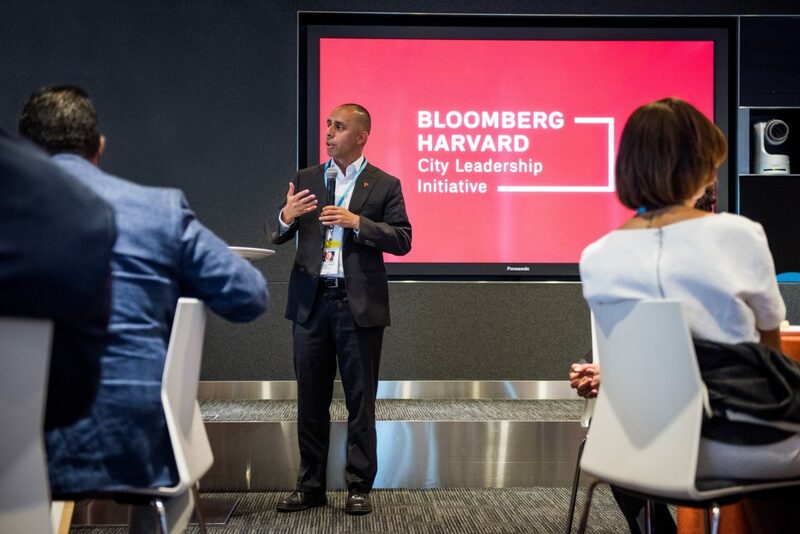 Mayor Jorge Elorza speaks at the Bloomberg Harvard City Leadership Initiative. The size and bureaucratic complexity of government can discourage potential partners, who may worry that good intentions won’t translate to good results. 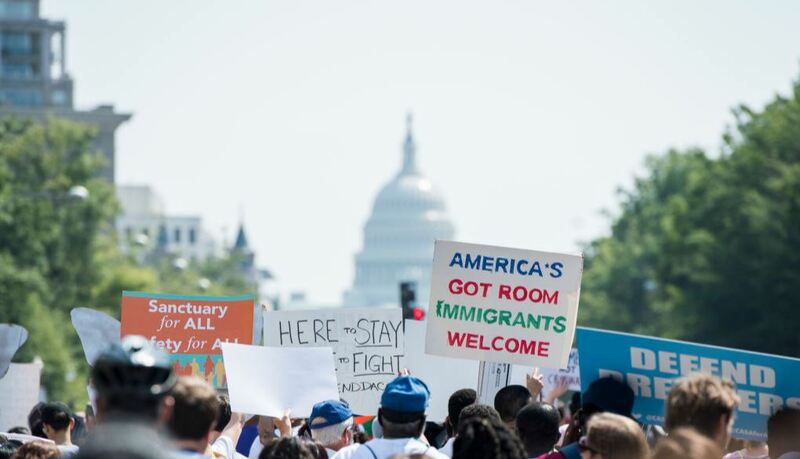 More and more cities recognize the importance of having an independent organization that can channel private support for public programs — and ensure accountability. The City of Athens, Greece is one such city. 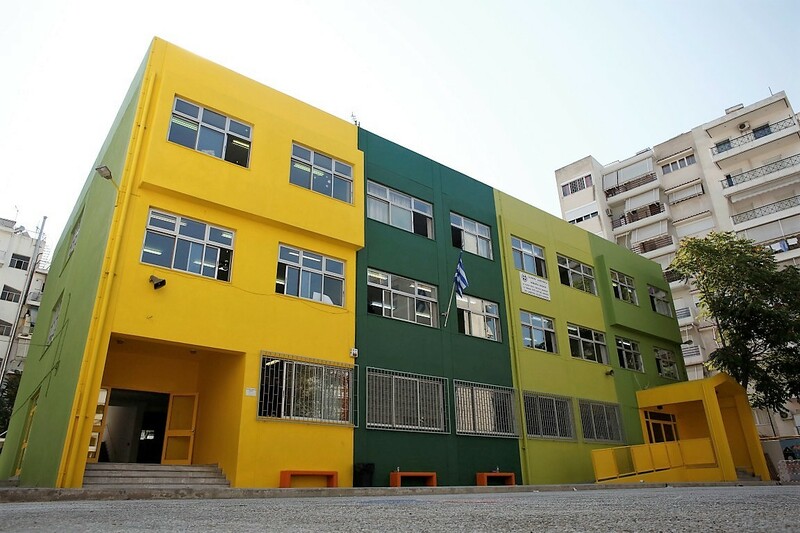 In 2015, Mayor Georgios Kaminis created the nonprofit Athens Partnership, whose staff works with city officials to identify needs, design programs, and collect data. It also uses a U.S.-based fiscal sponsor to accept donations and provide financial management. 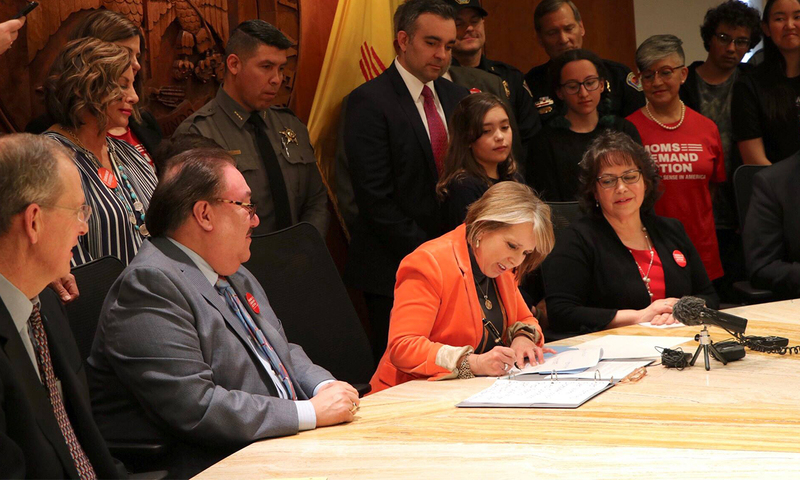 “With this entity in place we are transforming public spaces, galvanizing community involvement, and helping city agencies manage projects,” said Mayor Kaminis. The Partnership is now managing over 11 million euros in grants for more than a dozen initiatives. While different models can do the job, having a primary vehicle to interface with each sector and ensure projects meet government and donor guidelines can be the key to success. Cities such as London, England and Philadelphia, PA, have launched funds to solicit and manage charitable investments. 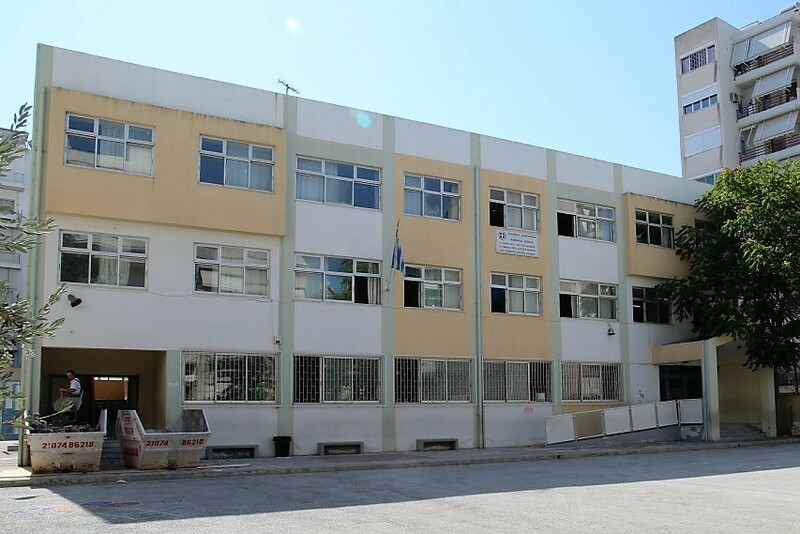 Others have partnered with a local community foundation or other nonprofit sponsor, like Athens, to facilitate private support. Directing strategic partnerships is still relatively new for many City Halls, so one of the biggest challenges is simply a lack of public understanding of these efforts. Mayors must take a leading role in communicating their intentions to constituents — and to their private partners. A lack of communication can create a cloud of skepticism and mistrust over even the most well intentioned initiatives. 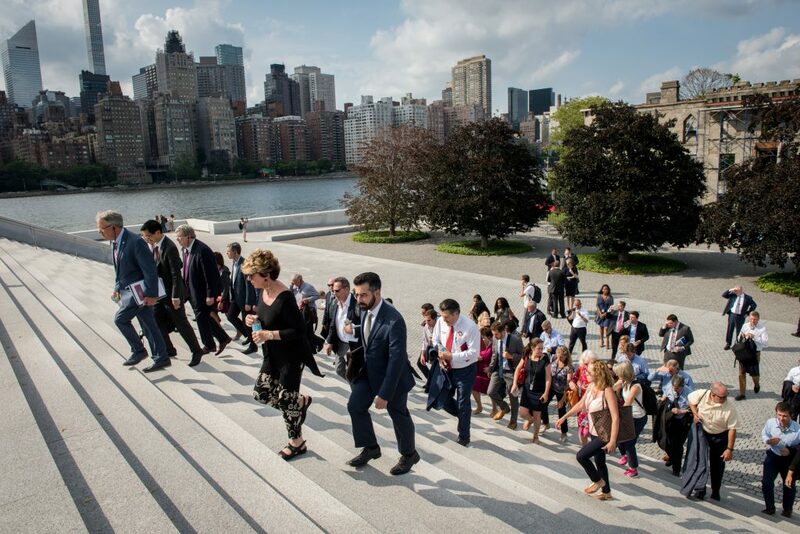 40 mayors from around the world visit the Cornell Tech campus on Roosevelt Island during the Bloomberg Harvard Cities Leadership Initiative to learn about the significant role that public-private partnerships played in creating this new applied sciences school. Residents, community leaders, and other stakeholders need to understand how collaborative projects can benefit their lives, the role of partners, and how outcomes will be measured. Accordingly, these stakeholders can become either advocates or opponents for these initiatives. Getting stakeholders to understand how public-private collaboration works and what the intrinsic value is for their city can take some time. But the return on investment can be high, with transformative results. Megan Sheekey works with mayors and city leaders around the world to help foster and structure strategic public-private collaboration supporting civic priorities. She advises Bloomberg Associates clients as well as Bloomberg Philanthropies grantees on ways to coordinate and leverage resources, program sustainability, and the design and creation of vehicles that organize and strengthen investments. Previously, she served as President of the Mayor’s Fund to Advance New York City under Mayor Michael R. Bloomberg.